If u had asked me four months back then I would have said all ill words about Lush. I could not imagine how anyone would spend so much on skincare when they might be unsure even it will suit you or not. 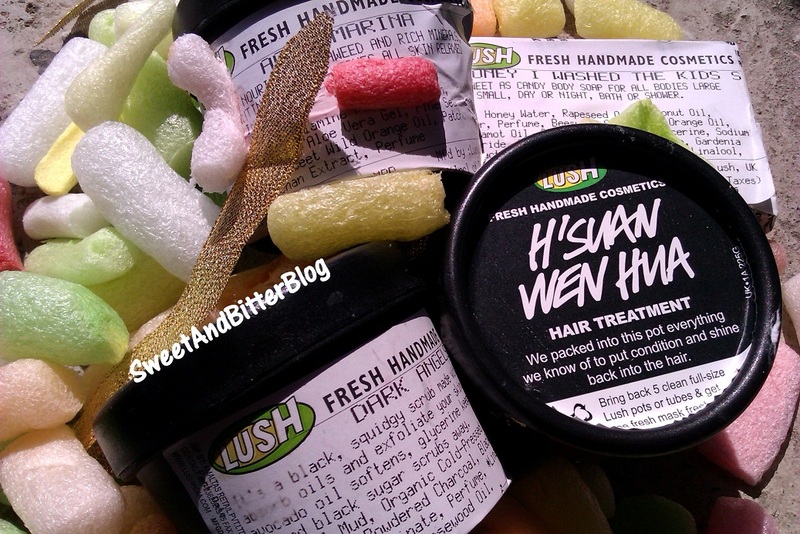 My first buy was a year back when I got Trichomania solid shampoo and Sweet Lips scrub. Trichomania didn't work and I got itchy scalp. It ended up as a shower cream because of the amazing smell. Then why am I so confident about them this time? I just realized something that I was not aware when I made my first purchase. They give samples. You can try to check if the product actually suits you or not. This time I consulted them for a hair moisturizer as I need to pamper my hair at times and they have gleefully send me a sample for HSuan Wen Hwa for one time use. They have also sent me Honey I washed the Kids because I am confused with the smell and wanted to try it to make sure it’s not too sweet for my taste. So, I brought from them just because they had free samples? NO! My Aqua Marina cleanser lasted for more than 3 months (it expires in 3 months and now I know how to make it live longer). So its only 200 per month which is way too less than what I had to spend if I had went to a saloon or doctor to treat the stupidity of my skin – You are DRY not Oily. Why u forgot Mr.Skin? I also got additional Dark Angels to use as scrub. A pea-size amount of product is required for my face. So, this might last at least 6 months. So, this implies being cost effective as well! It only hurts to pay so much at a bunch but then they have samples as well. Online Experience – After two successful attempts by net banking, I called them and they were sweet enough for online or bank deposits. Finally I tried one more time (just to a good girl) by net banking and it worked! They sent it by Blue Dart and I received it in 2 days and that too during Durga Puja in Kolkata when things are hardly delivered. Hats off to Lush, Blue Dart and the man who delivered it. They have the policy of giving-back. I already have 5 tubs now and I think I have to visit the shop next time to claim my free cleanser. Wooopeeee. But I am surely going to buy online otherwise because the Lush store in Kolkata is quite off my way. 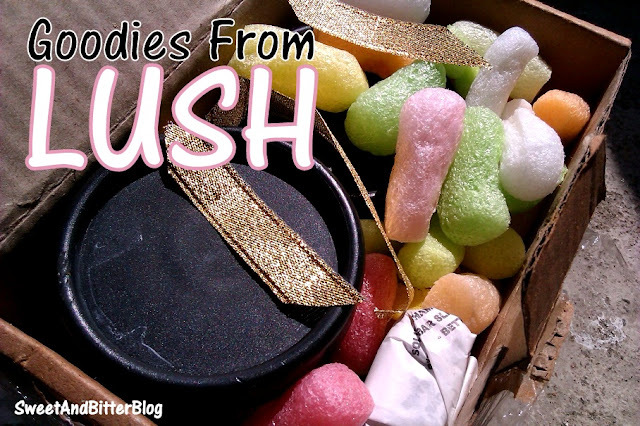 Have you shopped from Lush Online Store? I know, the pain of looking at tons of useless bottles which promised to make you Cleopatra but proved to be a complete failure. I am glad I got to know about the sampling. i love lush but recently i'v stopped buying lush stuff cause I couldn't afford it all the time. Its more of a treat for me. Some of their stuff is great and some blah. Great haul ^_^! hey ..can you give me the site link from where you ordered.